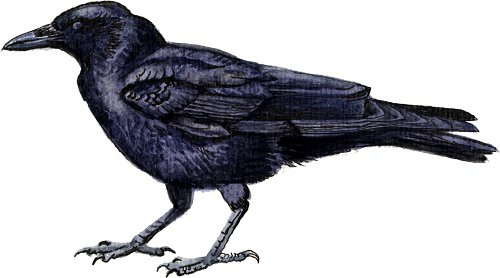 GigaDB Dataset - DOI 10.5524/101008 - Genomic data of the American Crow (Corvus brachyrhynchos). Genomic data of the American Crow (Corvus brachyrhynchos). The American Crow (Corvus brachyrhynchos brachyrhynchos (Brehm, 1822)) is a large passerine bird and part of the Corvidae family. It is commonly found throughout North America, and despite being common and widespread, they are highly susceptible to West Nile Virus. These data have been produced as part of the G10K and Avian Phylogenomics Project. DNA was collected from a female in the Asheboro, North Carolina Zoo, USA, with blood samples provided by Halley Buckanoff of the zoo. We sequenced the 1.26Gb genome to a depth of approximately 80X with short reads from a series of libraries with various insert sizes (170bp, 500bp, 800bp, 2kb, 5kb, 10kb and 20kb). The assembled scaffolds of high quality sequences total 1.1Gb, with the contig and scaffold N50 values of 24kb and 6.9Mb respectively. We identified 16,562 protein-coding genes with a mean length of 17.9kb.